Kia has pulled the wraps off the all-new Proceed car, based on a concept vehicle that shares the same name. ProCeed is expected to make its official world premiere at the 2018 Paris Motor Show, before going on sale exclusively to European drivers at the beginning of 2019. It blends together the space of a tourer with a five-door shooting brake body and shares a lot of the same DNA as the standard Ceed. The ProCeed will be available as a ‘GT-Line’ or high-performance GT model which should give the car an overall sportier presence. At 4,605 mm long, the ProCeed is 5 mm longer than the Ceed Sportswagon, with a longer 885 mm front overhang. At 1,422 mm in height, its roofline sits 43 mm lower than that of the Sportswagon, while ground clearance is reduced by 5 mm, to 135 mm. Constructed on the same ‘K2’ platform as other Ceed models, the 2,650 mm wheelbase remains unchanged. Due to its large proportions it has a generous boot capacity of 594 litres, making it almost 50 per cent more capacious than the standard five-door car. Kia says it has been optimised to drive and deal with European roads, which can be demanding and require sharp handling and dynamic driving. It is fitted with fully-independent suspension as standard, the same setup as the Ceed and Ceed Sportwagon but uniquely tuned compared to its siblings. The Proceed is also 5 mm lower than the Ceed and Sportswagon with spring and damper rates tailored to accommodate its shooting brake dimensions and cab-rearward design. Every ProCeed, regardless of wheel size, is available with Michelin Pilot Sport 4 tyres and Electronic Stability Control (ESC), Torque Vectoring by Braking technology and an electric seven-year steering wheel. The ProCeed is powered by a wide choice of engines. GT-Line cars are available with three , of engine – a 1.0-litre T-GDi, 1.4-litre T-GDi power unit, or a diesel 1.6-litre CRDi. The 1.0-litre T-GDi produces 120 ps and 172 Nm, while the 1.4-litre T-GDi power unit produces 140 ps and 242 Nm of torque. 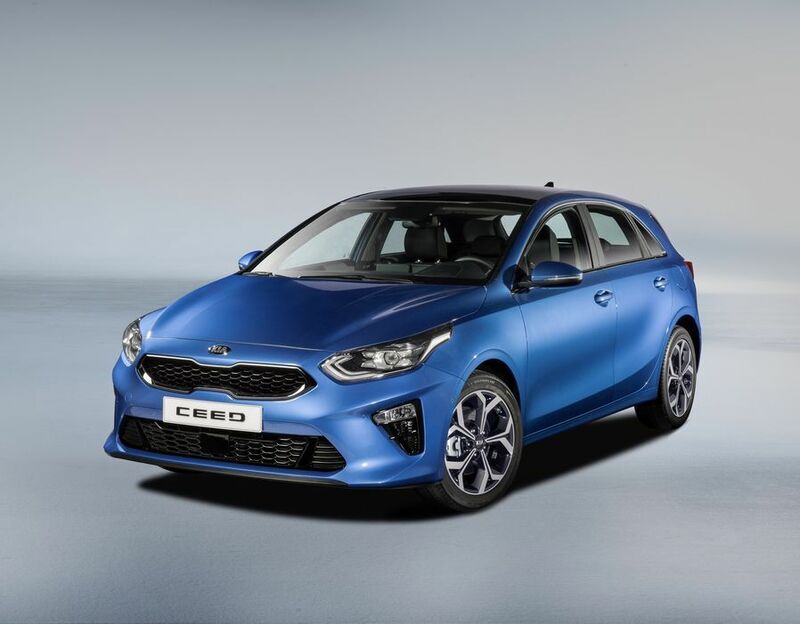 Both engines offer a six-speed manual transmission as standard, while the 1.4-litre T-GDi is available with Kia’s seven-speed Dual-Clutch Transmission. However, opting for the all-new ‘Smartstream’ 1.6-litre CRDi diesel engine gets 136 ps and 320 Nm with the seven-speed Dual-Clutch Transmission. GT models are pored by a 1.6-litre T-GDi engine and produce 204 ps and 265 Nm torque, making it the most powerful in the range. Inside the car, the ‘floating’ infotainment system can be specified as either a 7.0-inch touchscreen audio system or 8.0-inch touchscreen satellite navigation system. Both systems are compatible with Apple CarPlay (for iPhone 5 and onwards) and Android Auto. Standard technologies include full Bluetooth smartphone integration, automatic lights, and keyless entry while certain specification cars come with a JBL Premium sound system. It is also available with Lane Following Assist, Smart Cruise Control with Stop & Go, Blind Spot Collision Warning, Rear Cross-Traffic Collision Warning, Smart Parking Assist, and pedestrian recognition for the Forward Collision-Avoidance Assist system. Emilio Herrera, Chief Operating Officer for Kia Motors Europe, comments: “The ProCeed is a car that represents everything Kia stands for. “This beautiful shooting brake body offers drivers an unmatched combination of design, space and versatility, representing a unique proposition in the mid-size family car segment. “Engineered on European roads, for European drivers, the ProCeed will be engaging to drive. Production of the ProCeed shooting brake begins in November, and sales commence exclusively across Europe in the first quarter of 2019. It will be covered by Kia’s seven-year, 100,000-mile warranty as standard. Full UK specification, pricing, and on-sale date have been confirmed to be announced in due course.